Hailey is 37 months old. 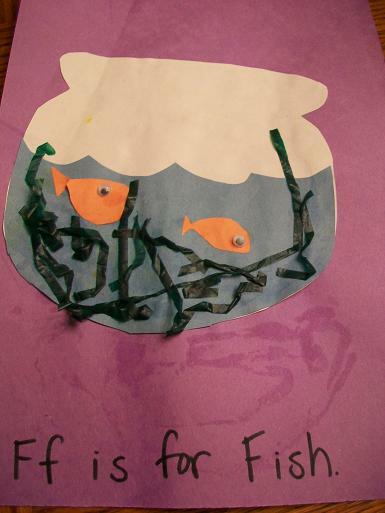 Our letter last week was the letter F- Hailey made a fish bowl that will go in her alphabet book. We made a turkey with letters on his feathers that spelled Hailey. Hailey loved making this Indian corn! 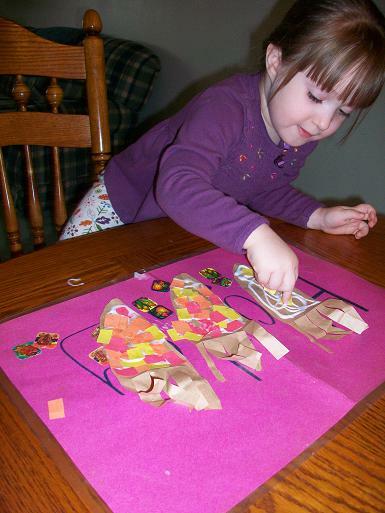 After we read a book about Thanksgiving, Hailey made this Mayflower. Stop by 1+1+1=1 to see more Tot School posts. 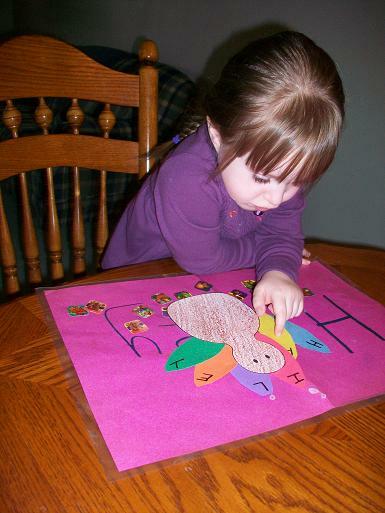 This was a very easy project that is great for practicing letters and spelling names. 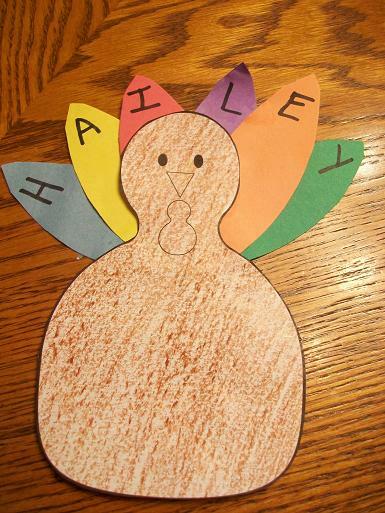 I cut out feathers for the turkey and wrote the letters in Hailey’s name on the feathers. 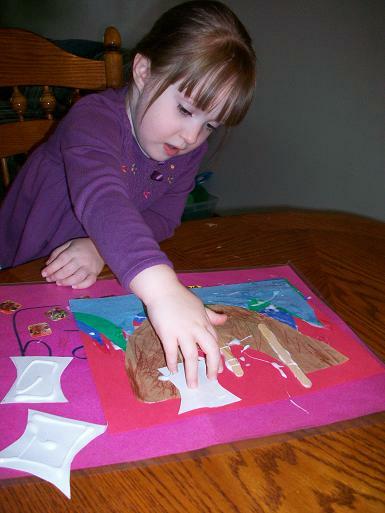 Once we were done practicing the letters and spelling her name, we glued the feathers on. 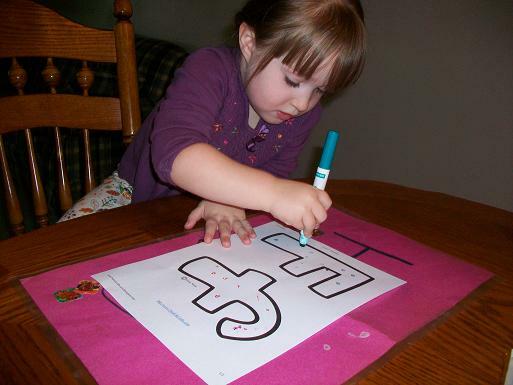 Our letter of the week last week was the letter F.
As always we started out by decorating the letter template for the letter of the week. 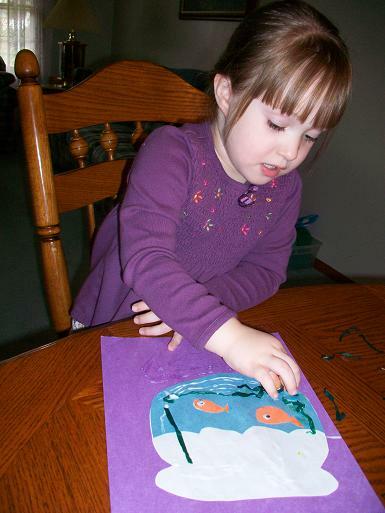 I found a cute idea at Homeschool Creations that we used for our project that will go in our ABC book. 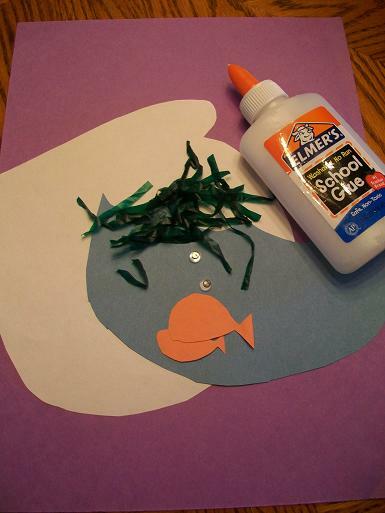 You’ll need: construction paper, google eyes, glue and whatever you want to use to decorate your fish bowl. The finished F is for Fish page for our alphabet book. 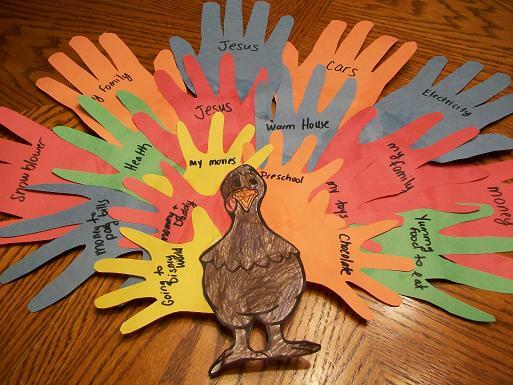 We made this Thankful Turkey as a family using our hand prints. 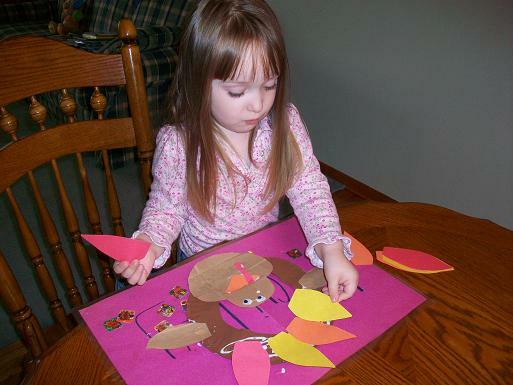 We made this really cute paper plate turkey. 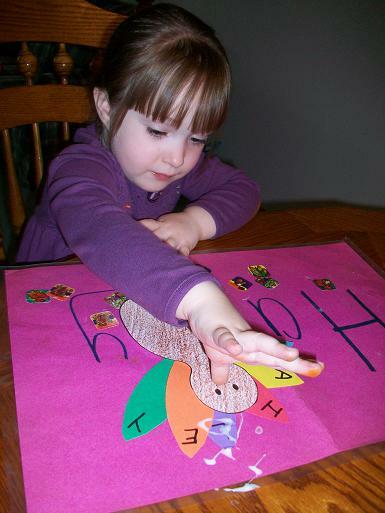 Hailey made this “Where is Turkey” book that helped to practice words like on, under and beside. 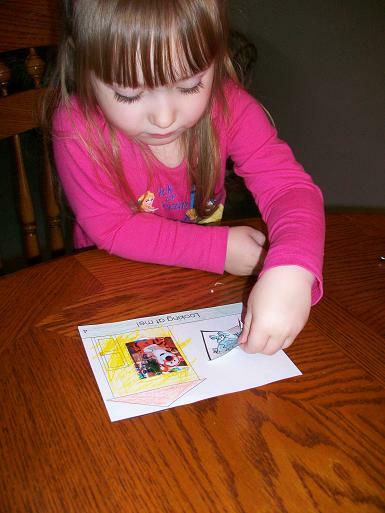 Stop by 1+1+1=1 to see more Tot School ideas.